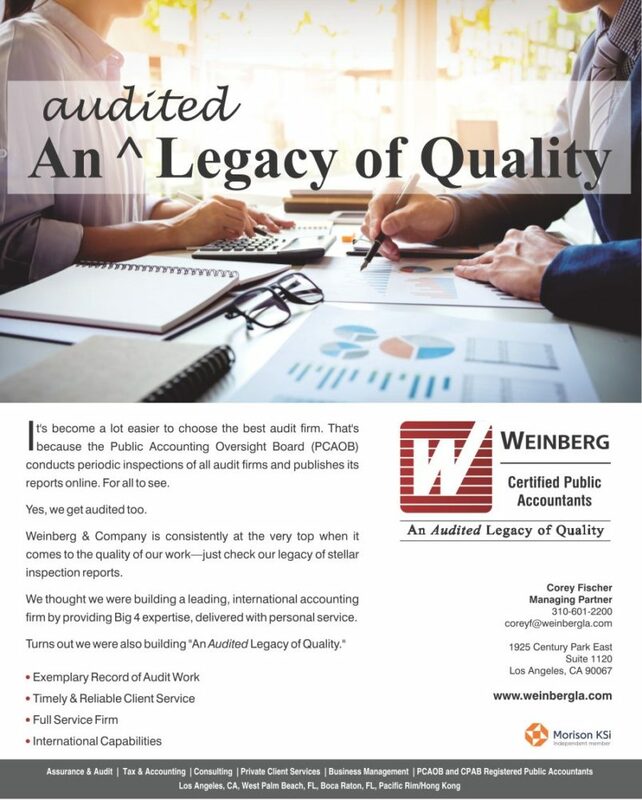 Weinberg & Company has the capability to conduct the full range of assurance and audit services for public and private companies, both domestic and international. You need an independent CPA firm to conduct an efficient and effective audit that meets compliance requirements. What you don’t need is an overpriced audit firm taking up residency in your office and unduly disrupting your business. Our auditors begin an engagement with a deeper understanding of your business and your industry sector. This is an important distinction. 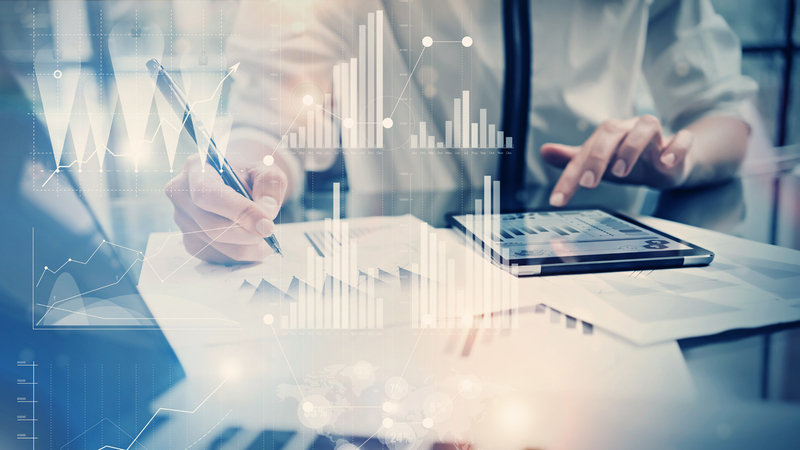 It means that audits proceed more smoothly and are completed with greater efficiency… and that means less disruption and fewer billable hours. Then there’s the matter of personal service. With Weinberg & Company, you won’t be dealing with a revolving door of inexperienced associates. Instead, you will work with seasoned audit professionals who remain familiar with you, your financials, and the latest regulatory changes affecting your business and industry. Our quality control and SEC expertise is exemplary. We are registered with the Public Company Accounting Oversight Board (PCAOB) and are a member of the Center for Audit Quality and the American Institute of Certified Public Accountants (AICPA). 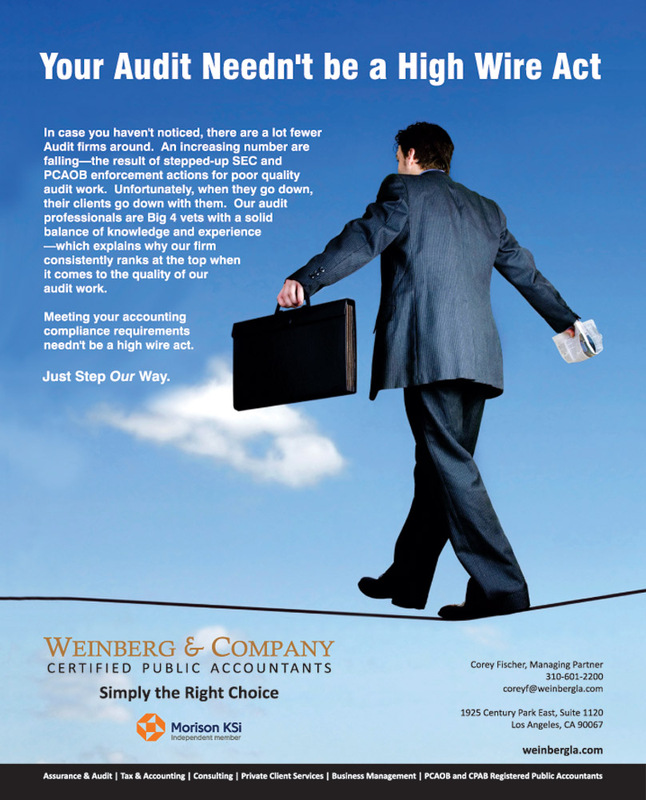 Weinberg & Company is subject to both the PCAOB inspection process and AICPA peer review requirements. Weinberg also is registered with the Canadian Public Accountability Board (CPAB). 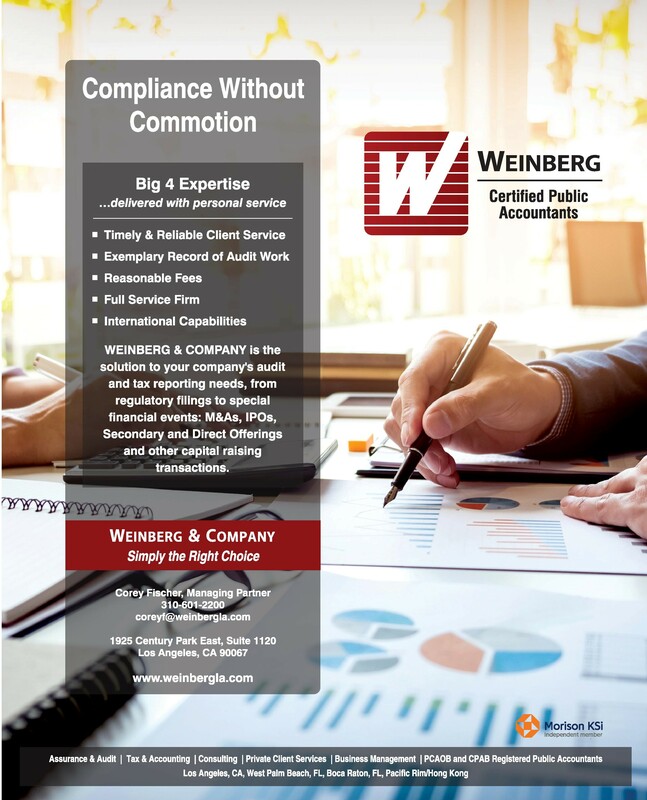 Weinberg & Company provides audit services to public companies that trade on various U.S. and foreign exchanges. Our clients vary in size from multi-national accelerated filers, to domestic operating companies, to emerging start-ups and research and development companies. We have significant experience serving public reporting companies in the U.S. and internationally. As such, we can provide all the services necessary to ensure you remain in compliance with all the reporting requirements of the SEC such as audits of financial statements to be included in Form 10K, audits of internal controls of financial reporting to be included in Form 10K, reviews of financial statements to be included in Form 10-Q, and current reporting requirements such as major acquisitions or dispositions of assets to be reported in Form 8-K. Since our practice is involved heavily with servicing public companies, we stay on top of the ever-changing regulatory environment and complex internal control process requirements. We have an ongoing dialogue with the SEC staff in connection with client filings and on special situations. Many private companies have a need for audit services. Often, it is required by such third parties as: banks, investors, private financial partners, profit participants and regulatory bodies. For private companies seeking growth capital we provide an independent and reliable overview of a company’s financial situation to investors, including potential strategic or financial partners, creditors and shareholders. We work closely with commercial and investment banks in a variety of financial events, including equity and debt capital raises, mergers & acquisitions and restructurings. We understand that private companies are less than enthusiastic about going through the rigors of an audit solely to satisfy a third-party requirement. Providing useful management reports to help make better decisions. Recommending specific improvements to controls and procedures. Utilizing audit information for proactive tax planning. Improving the quality of information generated by your system. Many private companies have a need for financial statements, yet may not need an audit. As a member of the AICPA Private Company Practice Section, our firm provides alternative levels of financial statement assurance that may be more cost effective to our clients. Reviews may be a cost-effective way to meet the requirements of third-parties. In conducting a Review, we follow procedures of the American Institute of Certified Public Accountants which are more time efficient compared with audits conducted in accordance with generally accepted auditing standards. Compilations involve assembling data from company records and presenting it in an appropriate financial statement format. 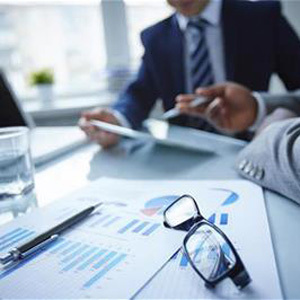 Through compilation services, we are able to prepare monthly, quarterly or annual financial statements for our clients. Weinberg & Company performs assurance services for a wide variety of benefit plans that fall under the Employee Retirement Income Security Act (ERISA). Our assurance professionals are highly qualified with extensive training and experience in auditing all types of employee benefit plans and stay current on all changes and updates promulgated by the Department of Labor, the Internal Revenue Service and other regulators. Like most things in life, successful outcomes are the result of early planning and good strategy. That is why so many Weinberg & Company clients look to us for more than timely tax compliance and accurate tax return preparation. Our tax professionals also develop optimal tax strategies to seize opportunities and avoid future problems. In short: we help position our clients to fully minimize their tax liability while remaining compliant with all tax laws—federal, state and local. Planning: Corporate and executive tax strategies to minimize and defer taxes. Form Preparation: Federal, multi-state tax return preparation and foreign information reporting. Research: Access to the latest tax law and IRS rulings, regulatory changes, updates and tax legal decisions. Record Maintenance: Assistance in creating or maintaining proper documentation to support results. Financial Systems: Accounting procedures and internal controls. Weinberg & Company tax specialists have the knowledge and experience to work with publicly-held companies in a broad range of industry sectors. Thanks to our in-depth knowledge of the nuances pertaining to certain businesses, we can identify specific tax issues and tax savings opportunities that others may overlook. Federal and multi-state tax return preparation, stand alone or combined. Foreign Information Reporting, including Forms 926, 3520, 3520-A, 5471, 5472, and FBAR (FinCen Form 114). Advising on optimal tax strategies for acquiring or disposing of a business and associated due diligence. Tax planning for state and local issues: nexus, combined vs. separate reporting, income sourcing, allocation and apportionment. Consulting on compensation issues including: Sec. 409A, qualified and non-qualified stock options and other forms of compensation. Preparation of analysis related to complex corporate issues such as IRC 382 and the related impact on net operating loss utilization. Preparation of tax returns for: S-Corporations, LLCs, LLPs, closely held corporations and other business entities. Advise on tax structuring, restructuring, buying or selling a business. Advise on tax accounting methods and periods. Tax planning on State and Local issues: nexus, combined vs. separate reporting, sourcing of income, allocation and apportionment considerations. Assist with Federal, State and Local tax agency audits. Representing high net worth individuals, entrepreneurs and family office clients has become one of the most complex and challenging areas for accounting professionals. 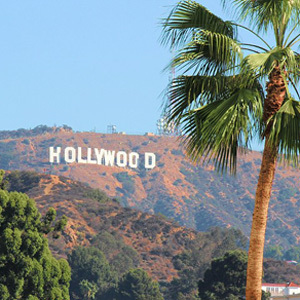 No longer a practice for just any accounting firm, this area has become a “specialty” practice and requires professionals who not only stay on top of the latest regulatory changes, but follow federal and state legislative agendas, tax agency rulings and have a particular knack for knowing which way the political winds may blow. We understand the challenge and we understand what’s at stake. After all, we’re dealing with personal wealth, life savings, and family fortunes. Preparation of individual tax returns. Preparation of trust, estate and gift returns. Preparation of returns for tax-exempt entities and private foundations. Preparation of filings for foreign persons’ U.S. income including Forms 1040NR, 1042, 8804, 8805 and treaty positions. Assist with implementation of and administration of retirement plans. Doing what you love? Pursuing that which made you successful? Or, maybe you’d rather spend your time dealing with all the complex compliance issues that demand your attention and your precious time. Our experienced professionals will custom tailor services to meet your financial and tax requirements, allowing you to focus on what matters most to you. …and other services designed to meet your unique needs. The world of accounting and finance has become increasingly complex. 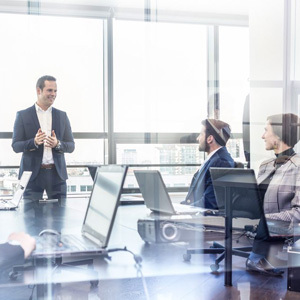 Maintaining regulatory compliant practices and procedures in a world of rapidly changing rules and regulations can present challenges to the best of CFOs. Whether it’s framing a response to an SEC comment letter, analyzing the effect of new accounting pronouncements, developing an accounting policy, or writing position papers for your auditors—our consultants will assist you in determining the right answer and guide your company to a successful solution. Our high-level accounting, auditing and financial consultants are former Big 4 partners and managers who have worked extensively with public companies and private funds. They possess the education and experience to address the most difficult and complicated accounting, auditing, controls and financial issues.